Let your spirit of adventure loose in the ultimate playground! This canopy and zipline tour in St. Louis’s Creve Coeur Park gives you 2 to 3 hours of jungle-swinging action! Let your spirit of adventure loose in the ultimate playground! 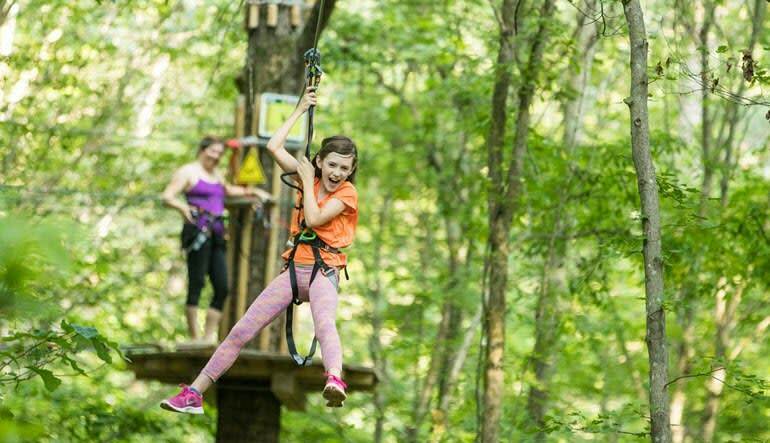 This canopy and zipline tour in St. Louis’s Creve Coeur Park gives you 2 to 3 hours of jungle-swinging action. Offer your group words of encouragement as it soldiers on and conquers every obstacle. Consisting of two-dozen crossings, this course features rail tracks, Tarzan swings and 5 thrilling ziplines. And of course, let’s not forget about the natural beauty surrounding you—perched on a tree platform, you’ll be treated to wonderful views of one of Missouri’s most cherished parks! 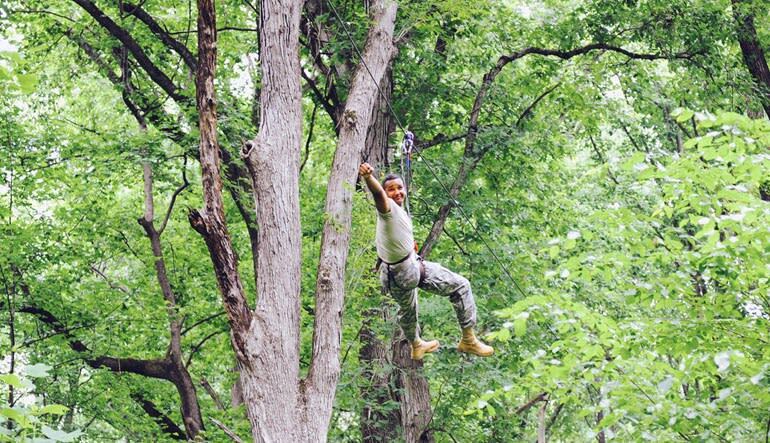 Take a 2 to 3 hour zipline and canopy tour in St. Louis’s Creve Coeur Park! Get started with a 30-minute safety instruction. 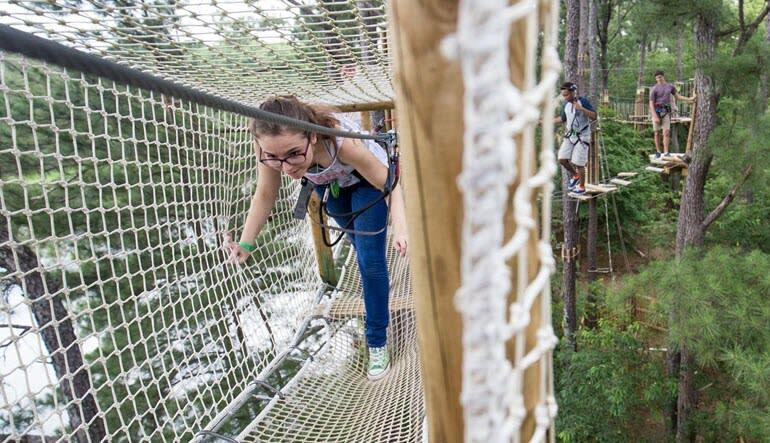 Give in to gravity on 5 thrilling ziplines! Soar tree to tree on the Tarzan swing! Cross suspended bridges and climb challenging obstacles. Be inspired by the surrounding wildlife and vegetation! Round up your favorite folks and set off for an afternoon of laughs, thrills and grade-A team building—book this adventure now! Maximum weight is 285 lbs. Minimum height 4 ft. 7 in.